I had a friend bring me this beer when he came over for dinner with his fiance. I’ve only ever had a banana beer once before and it was at a tasting in Orleans at Cino Cafe put on by Beau’s. They paired it with pancakes and maple syrup forever in my mind did this make Banana Beer a breakfast beer not that I advocate cracking a beer in the morning 11am is the earliest I think I can even contemplate a beer anyway. 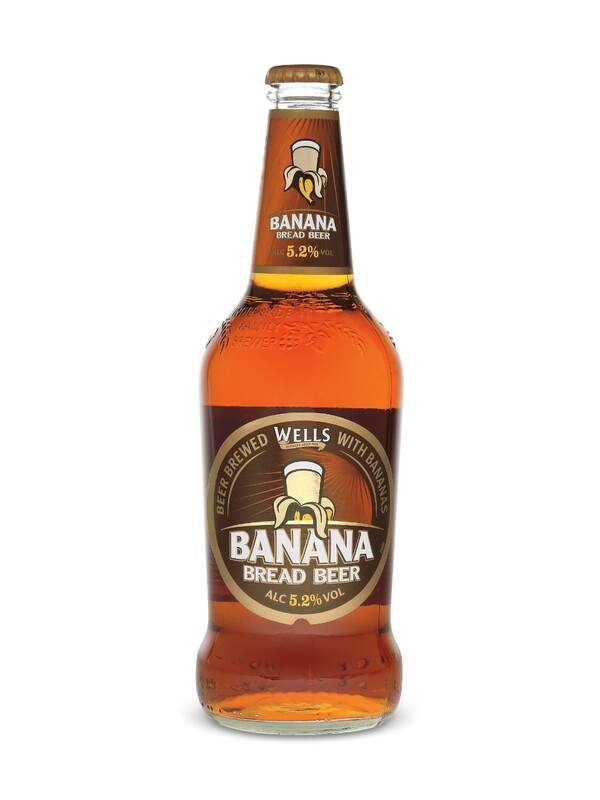 The beer actually tastes like banana bread(I seem to be saying banana like a minion in my head as well strange) I actually couldn’t get over the taste in a good way. There is a definite beer taste to this beer but its the banana bread taste that I will be taking home and talking about. It is a 5.2% beer with a bit of a malty taste and the awesomeness of your grandmothers banana bread recipe in it. Without being as heavy or feeling as guilty about eating the whole loaf before the rest of the family comes over and now there is nothing to serve before dinner….. yeah the brewery. Made by Charles Wells Ltd this brewery makes a lot of different craft and mainstream beers by license as well as a few that I’ve reviewed. There own brews are innovative like this beer and well balanced(I’ve had only 3 ). It’s a family owned and run that started in 1876 in Bedford U.K. they currently lease or tenant over 200 pubs that serve there beer in the U.K. and 11 in France and currently export to over 40 different countries.